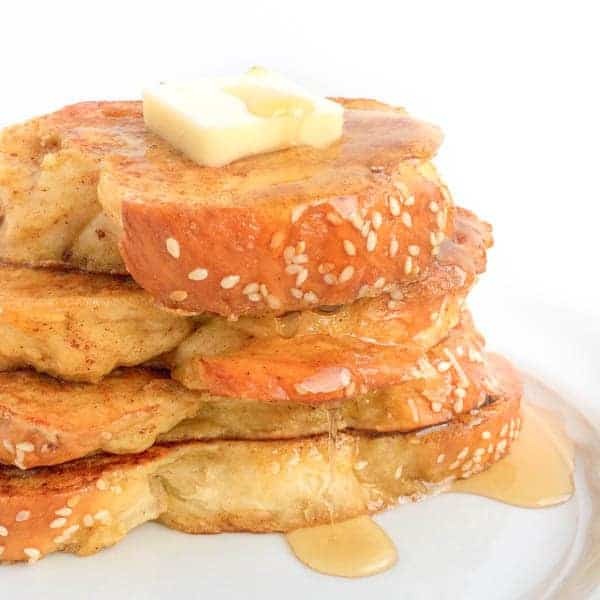 Ready in 15 minutes, transform leftover challah bread into the best French toast you’ll ever eat. Ideal for making ahead and freezing or serving for a lazy weekend breakfast. Last fall my Aunt Sabrina visited from Berkeley and hosted the most incredible Shabbat dinner at my mom’s house during her stay. We enjoyed a simple meal of Lebanese salad, roast chicken, roasted root vegetables and freshly baked challah bread. 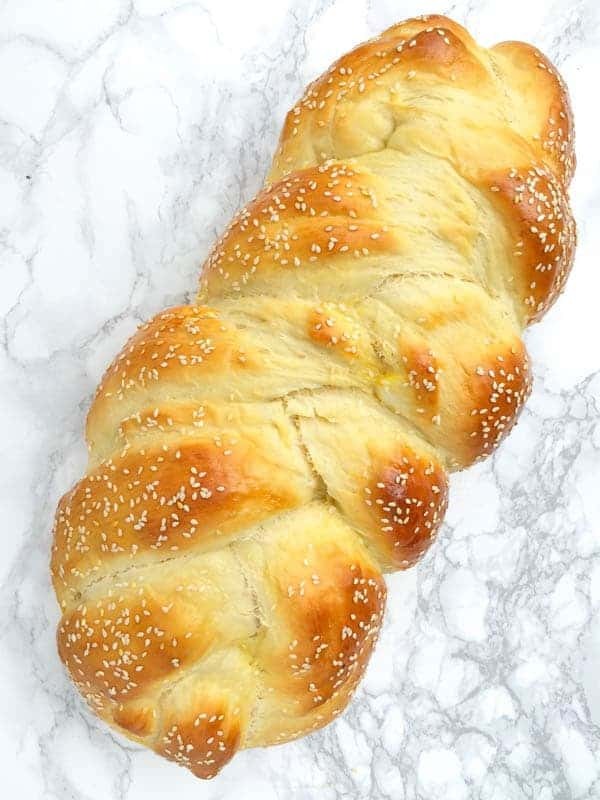 While I had made challah bread a few times before, it had honestly been years and I’m pretty sure I may have been 8 in Sunday school. Why on earth I waited so long? I have no idea. To help you connect the dots, Sabrina is Ema Ljuba (my grandmother)’s daughter. 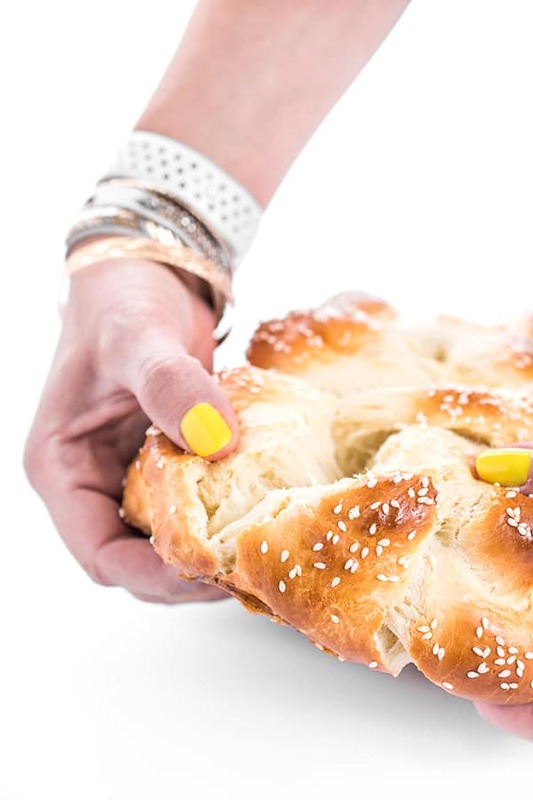 This challah bread recipe has been passed down for generations and I look forward to passing it down to my boys – especially Chef Asher. Of course, as anyone who grew up in a Jewish household knows, the best part about homemade challah bread on Friday is homemade challah bread French toast on Saturday morning! The soft, dense, eggy bread is the ideal candidate for the classic French toast breakfast. 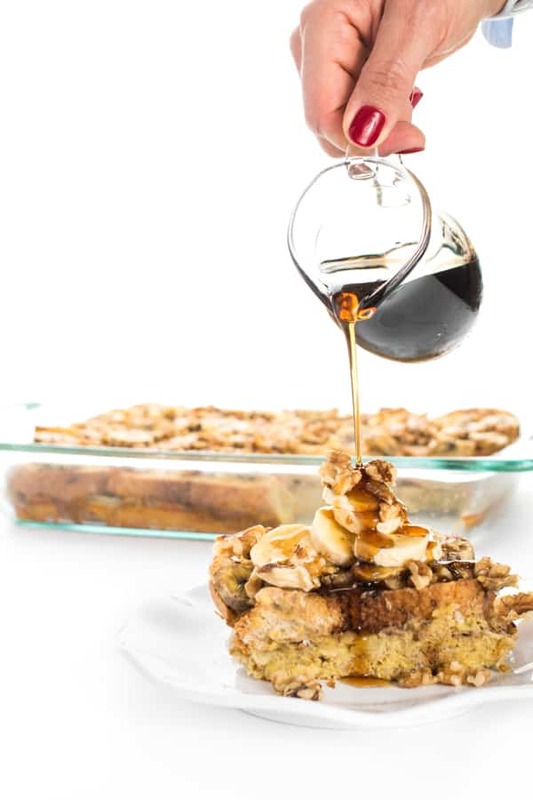 You can serve it with butter and maple syrup but it’s so decadent you almost don’t need it. 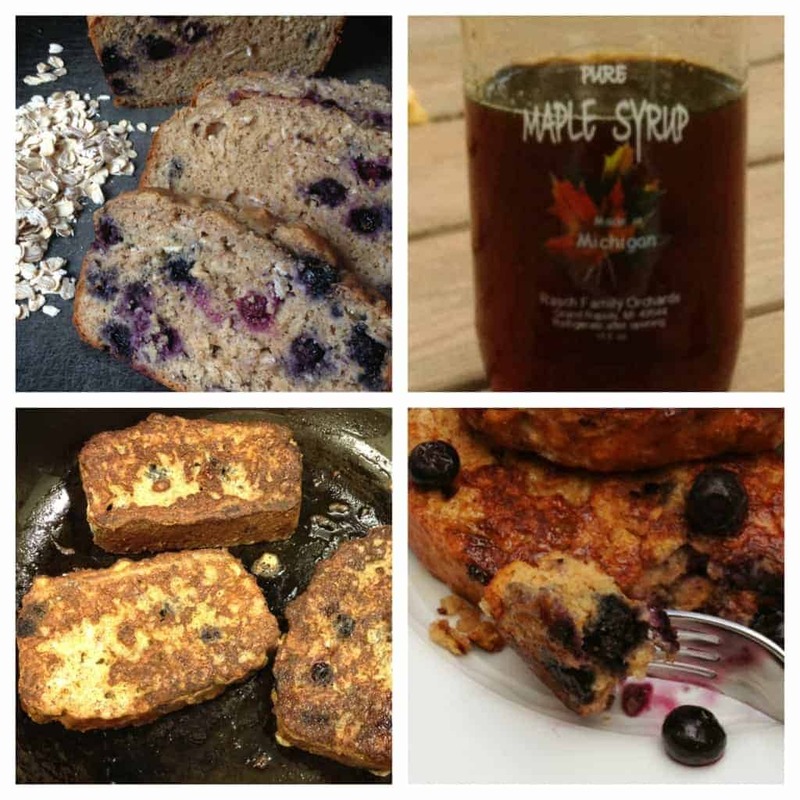 Transform leftover challah bread into the best French toast you'll ever eat. Ideal for making ahead and freezing or serving for a lazy weekend breakfast. Pre-heat a non-stick griddle over medium-high heat. In a large shallow bowl or pie plate, whisk together eggs, milk, cinnamon and vanilla. Soak challah bread for 30 seconds on each side then place in single layer on the griddle. Cook for 2 minutes on the first side then flip to brown the second side. Continue steps until all challah is cooked. 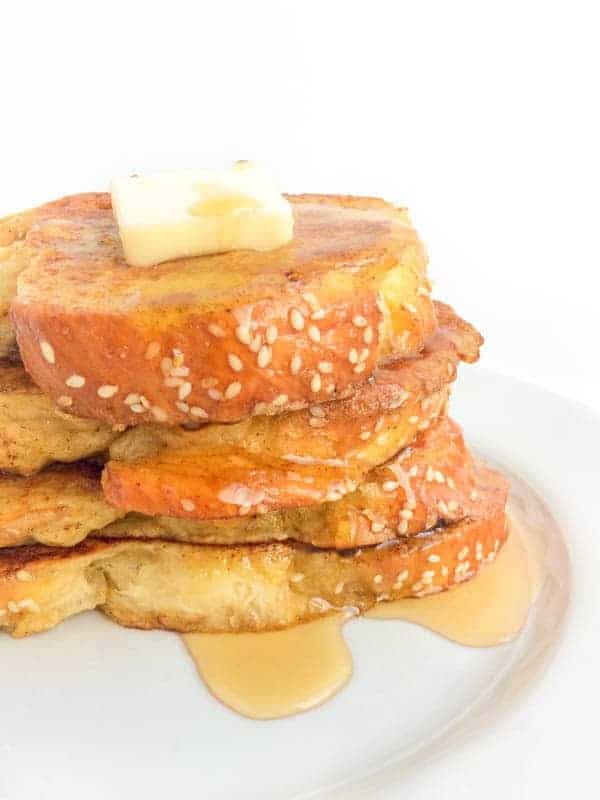 Serve challah French toast with warm maple syrup and butter if you wish. For more weekend breakfasts, check out my Healthy Breakfast board! I’ve never used a bread maker! I bet you could Google a bread maker version but this way is very easy! Is meeting you a good enough reason? Okay, thanks! I’m so sad you didn’t win but PLEASE Go anyway!!! I have heard so many things about Chopped that it is on my list as one I have to attend sometime. Plus I’d love to see you in person!! You would LOVE Chopped Con! I hope you consider it regardless of winning!! This French Toast looks AMAZING! I’ll have to try making the bread! Fingers crossed for the giveaway–I would love to go! I would love to learn more about food and blogging! I went to ChoppedCon last year and it definitely changed my outlook on blogging. I met so many wonderful people and it’s really helped me have the confidence to work hard on my blog and look toward the future. This year’s lineup looks so awesome with Matt Armendariz, and of course, you, Liz! :) I haven’t purchased a ticket yet, but I’d love to win one! Wasn’t it a great conference? I am so looking forward to going again and hope to see you there! 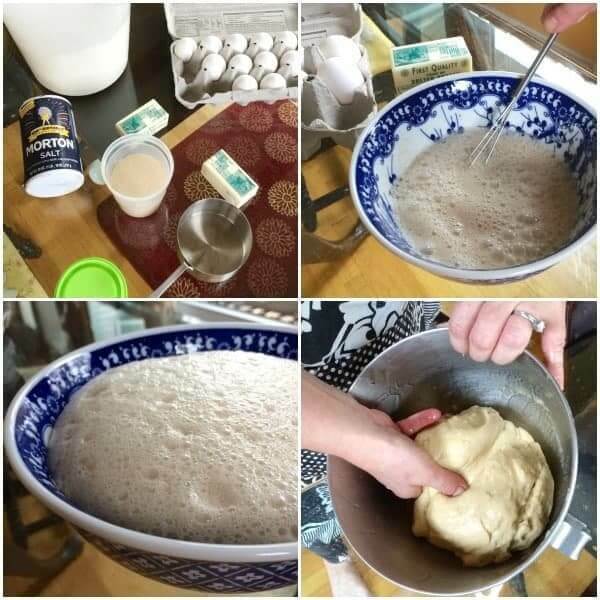 Oh man… maybe one of these days I’ll try challah with Bob’s 1:1 gluten free baking flour! I’d love to attend Chopped Con so I could meet all my blogging buddies in real life! This carb loving girl is craving a big plate of this French toast right now!! I always look for challah bread on the discount bakery rack at the grocery store! 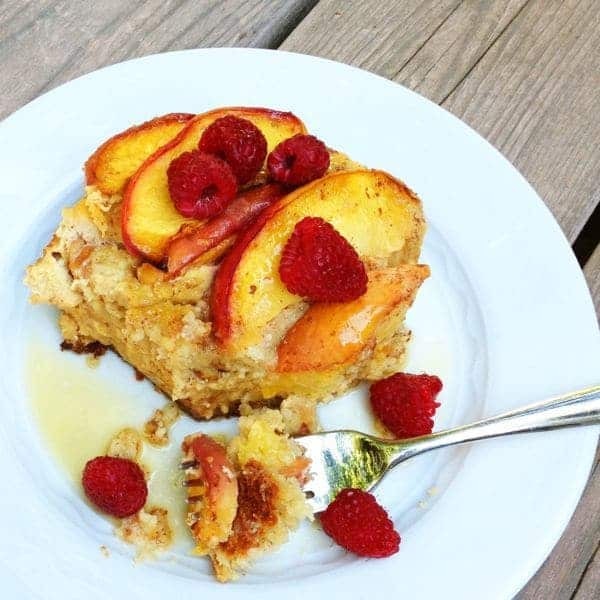 It makes THE BEST french toast… and bread pudding. ;) And this conference sounds amazing! I am all tapped out on blogger conferences for this year, but this one is definitely on my radar for 2016. But I am so bummed that I would miss you speaking though because balance is something I have really been struggling with lately. Loved listening to you on the Chopped podcast! Thank you for the opportunity! Aww thanks so much!! GOOD LUCK!